FIFA Admits Taking Bribes, Seeks Millions From U.S.
FIFA has admitted that many of their former officials took bribes, and now seeks millions from the U.S. for restitution. Javier Hernandez's hot start to the season has caught the attention of one of the top clubs in Europe, and rumor has it, Chicharito is interested in returning to England so he can 'stick it' to his former club, Manchester United. 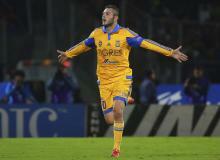 Tigres defeated Pumas 4-3 on PKs after the most exciting and frantic game we have ever seen in a Liga MX final. We preview, predict and give you TV and live stream information for the second leg of the 2015 Liga MX Apertura Final on Sunday from Mexico City. Don't forget to vote in our poll and tell us who you think will win. 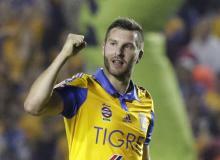 Andre-Pierre Gignac, Javier Aquino and Rafael Sobis all scored as Tigres UANL destroyed Pumas UNAM 3-0 in Leg One of the 2015 Liga MX Apertura Final. Arnold Peralta, a Honduran international soccer player was shot and killed while on vacation in his hometown of La Ceiba late Thursday night. 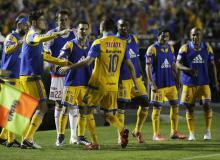 Tigres U.A.N.L. hosts Pumas UNAM in the 2015 Liga MX Apertura Final on Thursday. Live Stream, Preview, Prediction and Betting odds. Who Will Win The 2015 FIFA Ballon d'Or Award? FIFA announced the three finalists for the 2015 FIFA Ballon d'Or prize on Monday morning. Vote in our poll below and tell us who you think will hoist the trophy. Bundesliga club, Bayern Leverkusen, is banking on the success of Javier "Chicharito" Hernandez to attract one of the richest men in the world. Luis Suarez scored a brace, and Neymar also scored for Barcelona as they defeated Real Madrid 4-0 in the El Clasico match on Saturday. 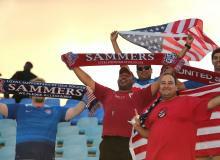 The United States fell short of a two-game sweep in their 2018 World Cup Qualifiers this month as they were held scoreless in a 0-0 draw with Trinidad and Tobago on Tuesday night. Jesús "Tecatito" Corona and Jurgen Damm led the youth movement for Mexico and El Tri handed Honduras a 2-0 loss at the Esadio Olimpico Metropolitano on Tuesday night. We preview the 2018 World Cup Qualifier between Mexico and El Salvador. Javier "Chicharito" Hernandez let his emotions flow when interviewed by Univision's Leon Krauze on the eve of Mexico's big win over the United States in Los Angeles. 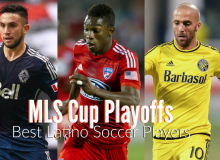 Check out our list of the top 10 Latino soccer players in the 2015 MLS Cup Playoffs. Soccer player Lucas Piazon, 21, and fellow Brazilian Andrey Da Silva Ventura, 22, are wanted by the police for allegedly sexually assaulting a Toronto woman during the Pan Am Games. Mexico defeated the United States 3-2 at the Rose Bowl on Saturday night. Javier "Chicharito" Hernandez believes he is ready to score against the United States on Saturday at the Rose Bowl. Why Ricardo "Tuca" Ferretti should start Jesus "Tecatito" Corona against the United States on Saturday. We preview the highly anticipated match between Mexico and the United States at the Rose Bowl on Saturday. TV and Live Stream Info as well as our prediction, betting odds and a poll. 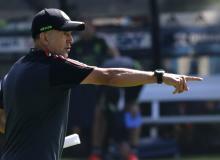 Mexico Vs USA: El Tri Announce Injury-Related Changes to Official Roster; Can They Win without ‘Gio’? For Mexico Giovani Dos Santos who plays at LA Galaxy USA is out for the official roster and he will out with his club team as well, LA head coach Bruce Arena’s remarks on the Mexican international’s injury during the week.